This was a gift I gave to my niece recently. 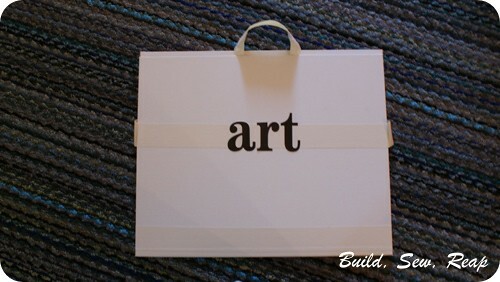 It came together pretty easily and yet I think it is a great tool for any budding artist. I remember keeping a folder made out of two pieces of poster board stapled together behind my dresser and I filled it with all my art projects from school. I still think it's fun to dig that out when I visit my parents. 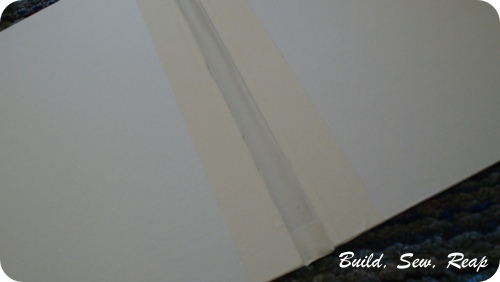 First, tape the two canvas boards together at the bottom edge. I left a gap between them to make folding them together easier. I also taped both front and back. 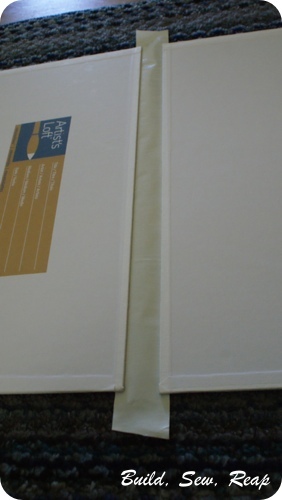 Essentially the bottom of the portfolio is made out of tape now. 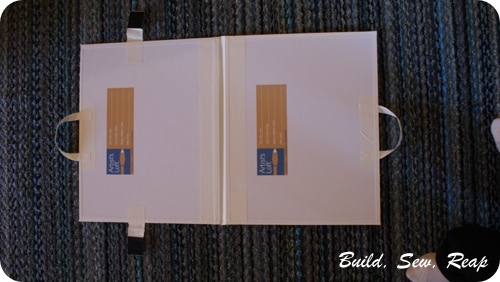 Add tape on either side of those pieces, just to make sure there's a good strong bond. Next, form handles. I just folded pieces of tape in half length-wise, laid them in place at the center of each side along the top edge and taped them down (see next picture). 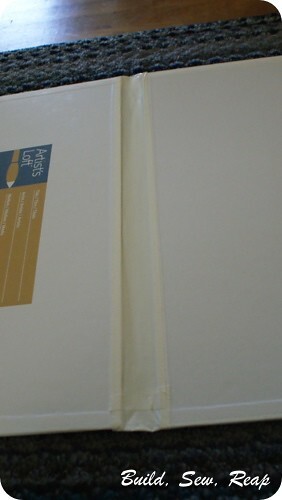 Using a nice long piece of tape, place the strip across the front, ensuring several inches hang off each side. Now fold the excess back on itself forming tabs. 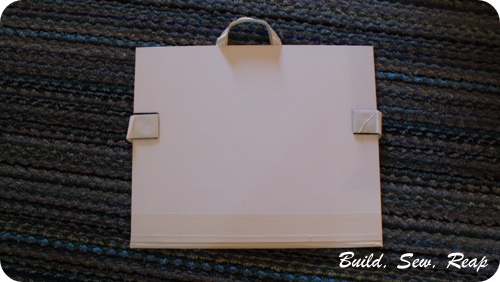 Attach a piece of hook-and-loop tape to each tab. 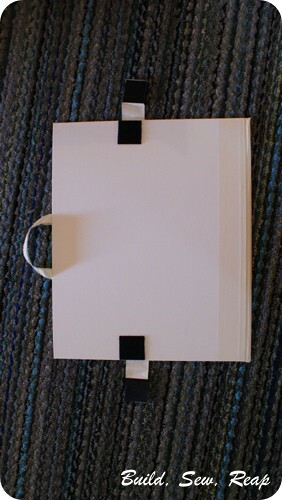 Fold the portfolio shut and affix the opposite pieces of hook-and-loop tape to the back board on the outside. Now decorate it as you see fit.